Pinnertest Food Sensitivity Test | What is Pinnertest? 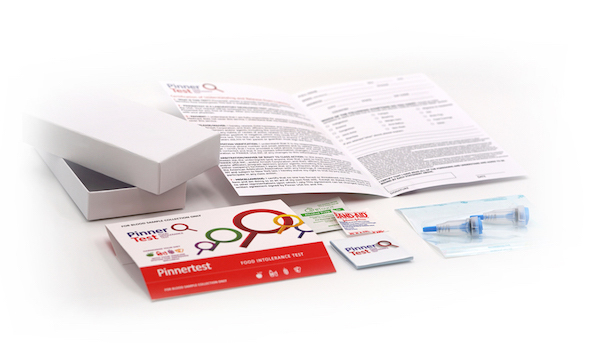 Pinnertest is the Next Generation finger prick blood test method to determine food sensitivities to 200 foods. It is a science-based exam that works with your body’s immune response to a food protein. It is the most comprehensive test of its kind and can help identify foods that you may not be digesting properly and causing negative symptoms. It is very easy to have food sensitivities and not know about them. Many people suffer from reactions to foods, without realizing what could be causing those reactions. Knowing your food sensitivities may help in building a healthy lifestyle. Pinnertest is an easy to use and understand exam. You simply place your order, then we send out the test kit right away, postage paid, to you. 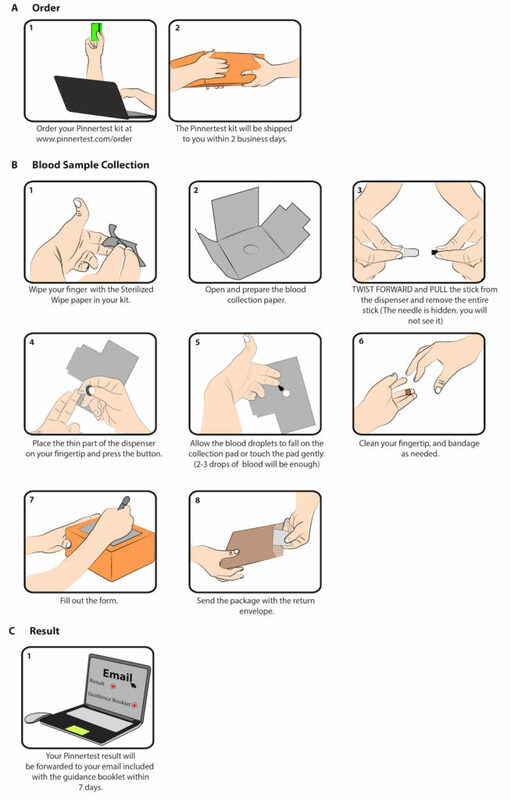 Once you receive the kit, you follow the user-friendly guide and a simple, single finger prick is all that is needed. You send off your sample to our lab, postage paid and you will receive your results by email in 7 – 10 days. Why do We need a test To Determine Food Sensitivities? Food sensitivity reactions usually come up after hours, even days, due to the type of immune response to particular foods. It is almost impossible to make a connection between the foods you ate and the reaction you are having and one of the best ways to know is to have a food sensitivity test. In food sensitivity reactions, partially digested foods get into the bloodstream, which causes the immune system to react as if those proteins were “intruders” in the system. That reaction causes inflammation, throughout the system, which causes negative symptoms. With the little amount of blood that Pinnertest requires, our test can be administered by yourself in the comfort of your own home. Once you receive an email detailing all of your food intolerances, the next thing to do is to simply eliminate the highlighted foods from your diet. That’s it. No follow ups. No exercise regiments. Zero hassles. While we do not prescribe any specific dietary plans after testing, eliminating the problem foods from your diet and replacing them with nutrient-dense alternatives is highly recommended to alleviate negative food intolerance related symptoms. Pinnertest is known as a common procedure in most European countries. In many cases, dietitians and nutritionists will ask for their client’s Pinnertest results before creating any kind of diet plan. In the United States many practitioners also recommend Pinnertest to their clients as an easy solution to identifying food intolerances. 1. If you are ordering from the USA, after your order, you will be forwarded to https://pinnertest.com/prescription/ for your prescription request. 2. The received request will be reviewed by a physician on our rolls free of charge, and a prescription will be issued for the test within the same day unless the physician deems the food intolerance test to be inappropriate for you. 3. Once the prescription is approved, your kit will be mailed, If you are not approved, your order will be canceled, and in case you have made a payment, any payments made will be refunded immediately. 4. Upon availability of the IgG test report in about a week, the physician will review the report and clear it for release to you. 5. You have the option to further discuss the report with our physician* or with your physician. *Physician consultations are optional and charged separately.